Contrary to what most people believe, a tea kettle can serve more than one purpose. You can not only make tea and coffee in it but also warm water for your green tea or instant noodles. 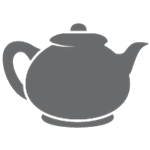 Tea kettles are available in a number of options.Here we get you acquainted with a few types.